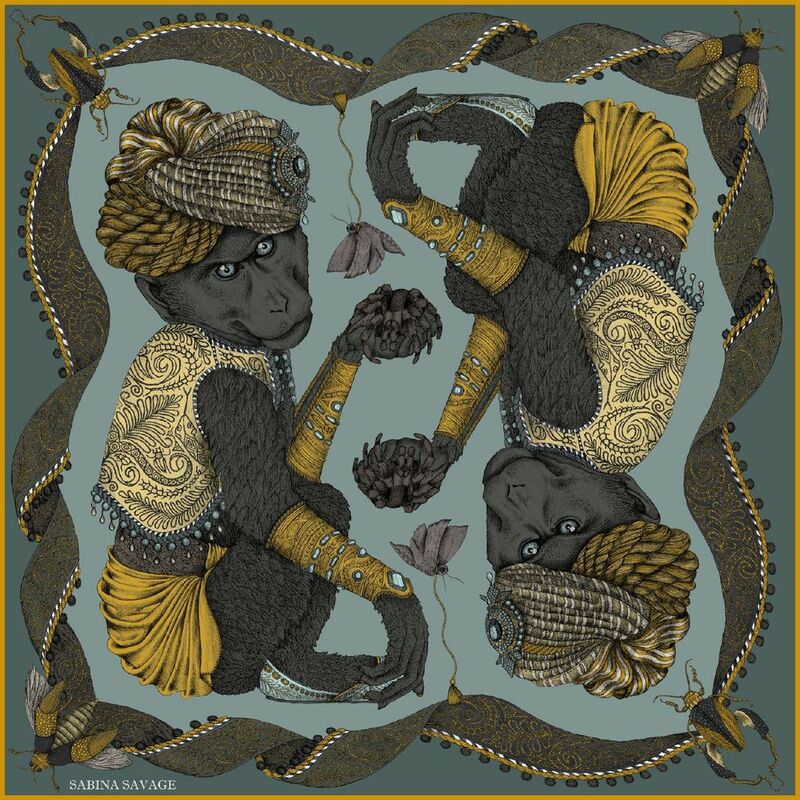 Sabina Savage is a British accessories range of luxury scarves featuring stunning imperial and victorian era inspired print designs on silk, wool and cashmere. Hand illustrated and designed in the UK, her collectible pieces are all made in Europe - produced to the finest quality and expertly printed and hand-edged by renowned artisans of Como, Italy. Sabina's designs are already sought after world-wide and is one of the most talented illustrators to emerge from the UK. Her signature couture style compares to Paris and Italian fashion houses such as Hermes, Louis Vuitton, Chanel and Versace. A total perfectionist, Sabina places great importance on craftsmanship, quality and individuality. Her prints are lovingly hand drawn and inspired by her fascination with the incredible drawings and etchings of flora and fauna from the Imperial years during expansion of the British Empire. Since achieving her diploma with distinctions from the Bristol School of Art, she further studied in Paris for 4 years at the prestigious Parisian Couture School - ESMOD. She graduated in 2011 as Valedictorian of her year - winning the Nouvelle Couture Award. Sabina has since honed her skills working with the best couture fashion houses of Europe - including Chanel, Christian Lacroix, Paul Smith, Gareth Pugh and ongoing work at Alexander McQueen. In 2013, Sabina established her own label to realise her dream. She has rapidly gained acclaim and secured several luxury stockists around the globe. With several awards behind her and a collaboration on soft furnishing designs for Heals, this designer is making waves on the world stage through her stunning collections.